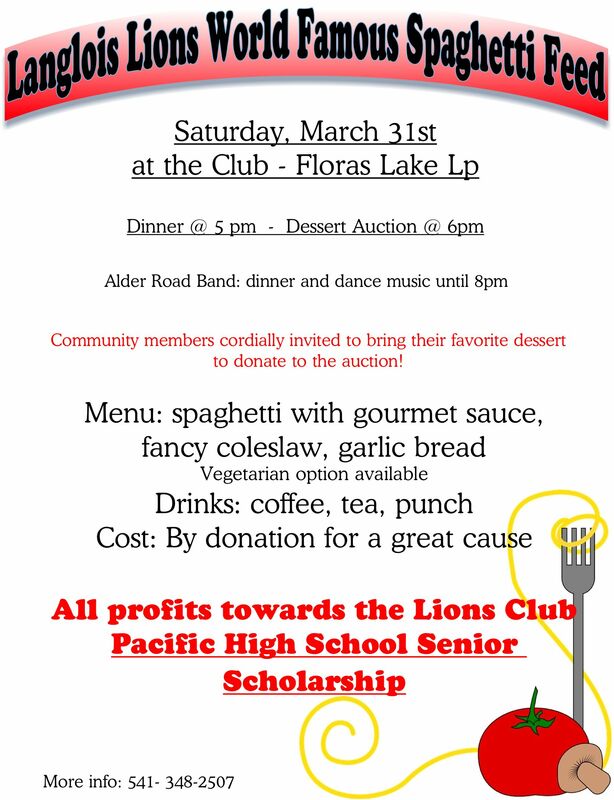 Our annual wonderful spaghetti feed and dessert auction to help fund our $1000 scholarship to a Pacific HIgh School Senior. Auctioning community members favorite desserts is a lot of fun. All for a good cause.